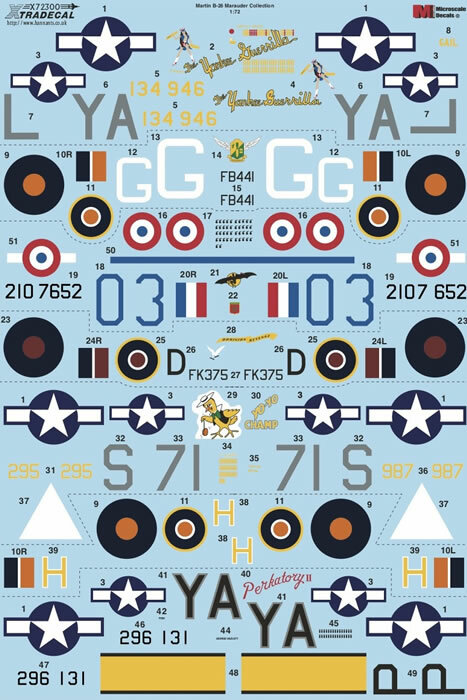 High quality decals; full colour instructions; includes a variety of colours and markings; national markings included for all seven options. 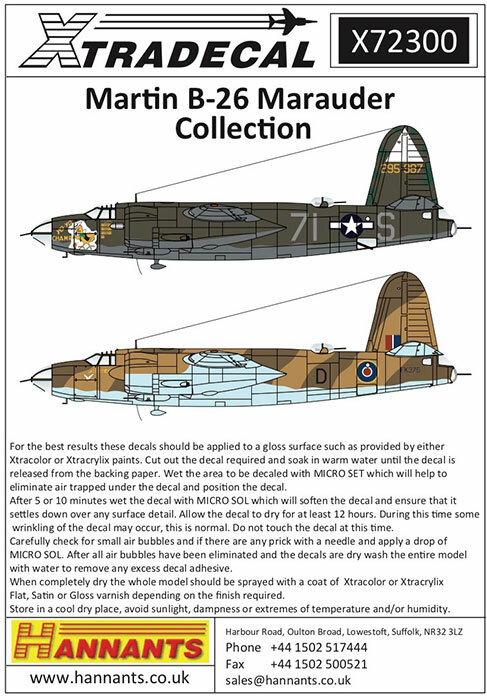 A high quality decal release for 1/72 scale Marauder kits. 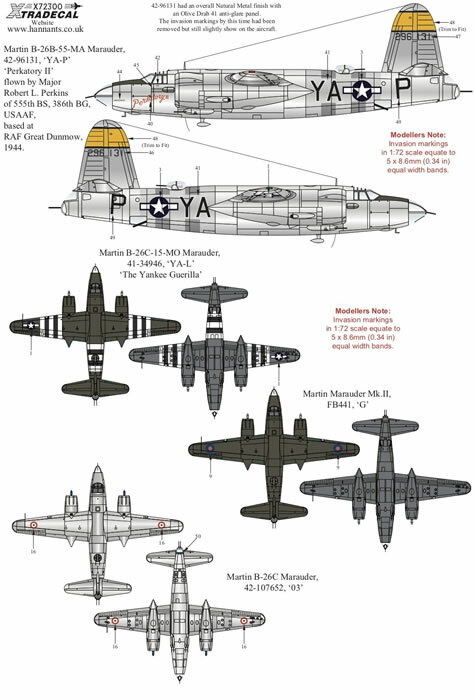 Xtradecal has released a new decal set with seven marking options for 1/72 scale Marauder kits. The best plastic currently available include the old Airfix kit, which has recently been re-released (really quite nice despite its vintage), and the very nice but hard to find Hasegawa kit. A good selection of schemes are included. 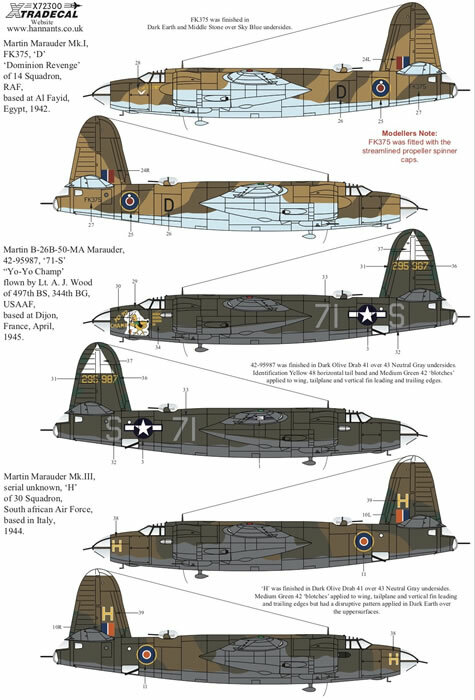 We find Olive Drab and Neutral Grey, RAF desert camouflage, an interesting field-applied finish of Dark Earth over Olive Drab and Medium Green, plus a bare metal option. 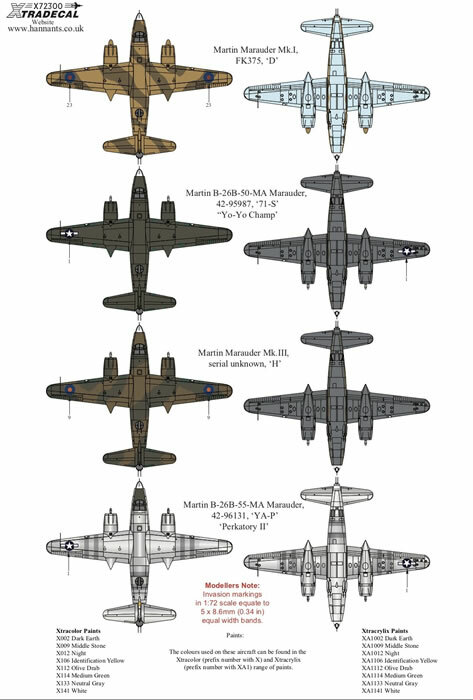 National markings are included for all seven options too - USAAF, RAF, Armeee de l'Air and SAAF. Left and right views are offered for all seven subjects, with smaller upper and lower views also included. 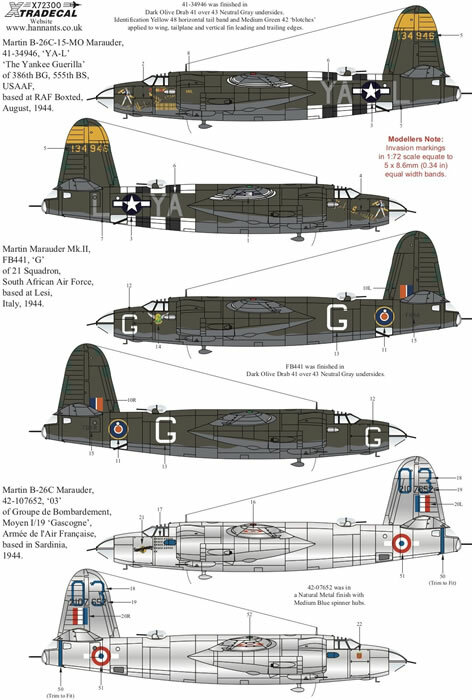 This is a high quality decal release for anyone	who	has	an	unbuilt1/72	scale	B-26	Marauder in their stash!